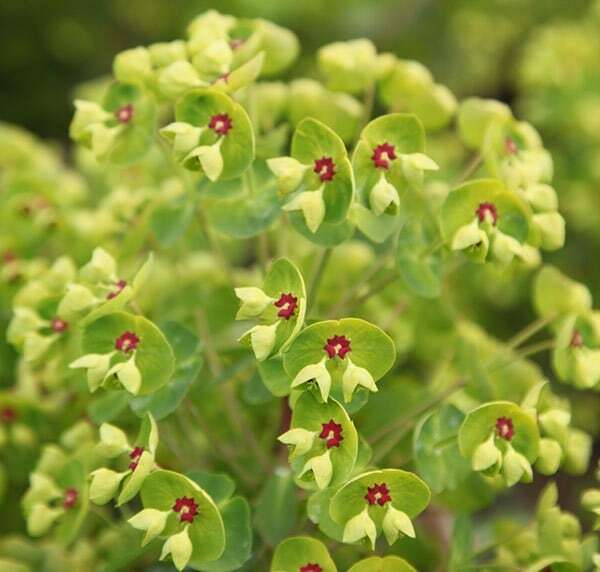 Upright, fleshy stems clothed in spring with handsome red-stained, mid-green leaves, followed by clusters of long-lasting, red-eyed, chartreuse-green flowers. 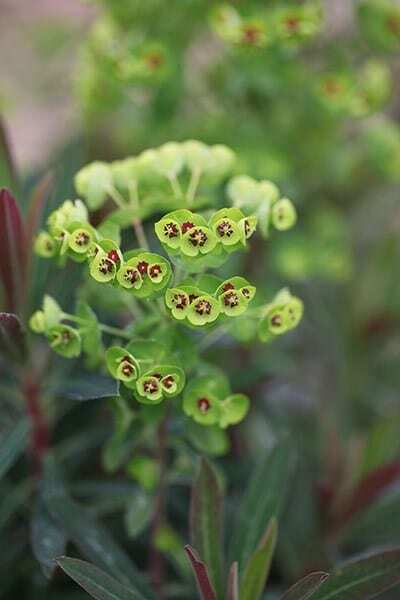 This evergreen spurge looks equally good when not in flower. More compact than many of its sun-loving cousins, it's perfect for a small sunny border, gravel or coastal garden. Garden care: To promote new shoots remove flower heads in spring after they have flowered. When working with spurges always wear gloves since the milky sap is poisonous and a potential skin irritant. I bought this plant last year from Crocus and am extremely impressed with it. It is evergreen and looks attractive all year around but is particularly striking in late spring with its unusual lime green flowers. It has survived its first winter in Yorkshire, is thriving and has required no particular care. Bought nine of these and three look pretty sickly. Not sure why this is as they were all watered in well and treated the same. However, the ones that are fine are very healthy and attractive and I am very pleased with them. Great evergreen structure for the border.